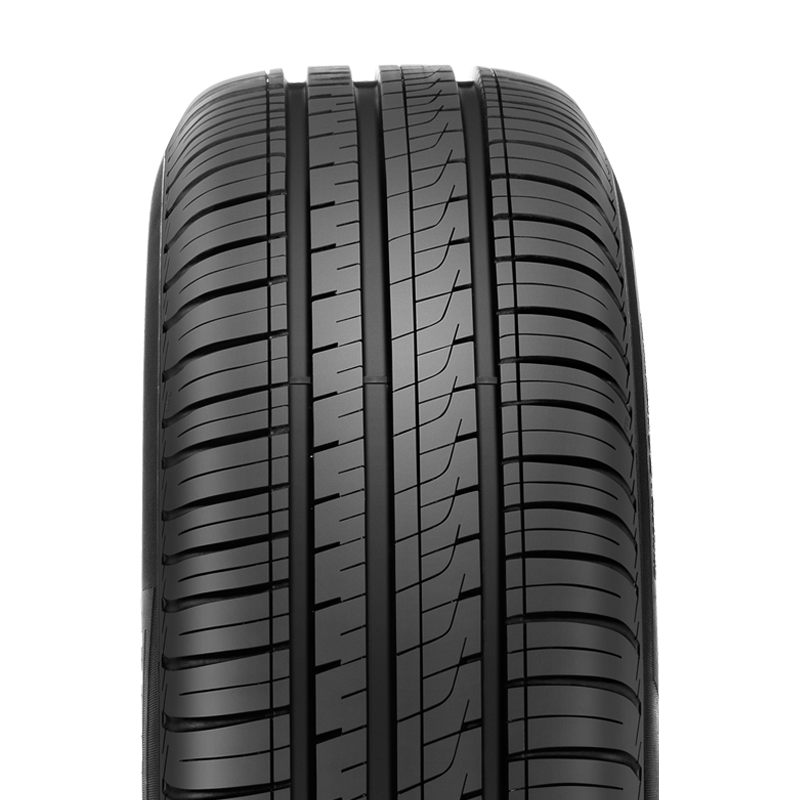 A great value, premium touring tyre provides drivers with the perfect equilibrium of performance, fuel saving, comfort and high level of safety for mid-size and compact cars. Innovative tread cap compound reduces energy dissipation which improves fuel efficiency and reduces CO2 emissions. Pattern design increases contact patch area and uniform pressure distribution which improves rolling resistance. Optimized tread design with specific pitch sequence reduces road noise for a quieter driving experience. Wider longitudinal and external traversal grooves improves water dispersion which enhances braking performance in wet and dry weather.